Synopsis: The first-half introduces you to the Southern town that is Savannah, Georgia in the 1970s/1980s. You meet all of the characters that contribute to the daily life and fall in love with it, just as the author did. The second half reveals a death and how the town is split: was it murder or self-defense? From there all kinds of drama unfolds. The best part? It all really happened. My Recommendation: A- It’s an easy, breezy, entertaining read that keeps you occupied with stuff to think about. 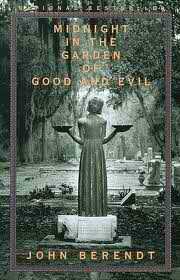 I love how it reads as a fictional novel but is actually a non-fictional account of a serious time in a Southern town’s history. Lasting Impression: I’ve gotta visit Savannah, Georgia sometime this lifetime. Recommended by: Michael, a co-worker of mine who is the equivalent of a walking encyclopedia. He literally knows a great deal about nearly everything…I could sit and listen to him talk for days about various subjects and never get bored. Synopsis: A Vietnam veteran shares various stories of his time spent serving in the Vietnam War with his fellow soldiers. He also updates you on how some of those soldiers adjusted to life after the War. My Recommendation: C. I spent the first half of the book confused…I wasn’t sure what was going on. Somebody was narrating it, but I wasn’t sure who it was and wound up wrongfully confusing various soldiers as the narrator and their roles in the scattered, spotty storyline. There wasn’t much of a plot. Michael had to break it down for me. “Tim O’Brien, the author, was a Vietnam vet in real life. The story is that he got back to the USA and refused to talk about his experiences, but wrote about them instead. 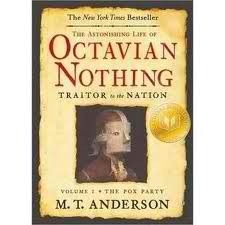 The result is this book, which he says is actually fictional. But that’s why the narrator in the story is named ‘Tim O’Brien’ and is described as having served in the war and uses writing as his way of coping, a therapy of sorts.” Oh, okay…I guess I get that. Final Thoughts: This is a heavily hyped book that left me disappointed. Why didn’t the back cover of the book explain the background info to me before I started reading? And I wish the storyline wouldn’t have been so scattered….it was everywhere and nowhere all at the same time. Synopsis, My Recommendation, Final Thoughts: Peep this. 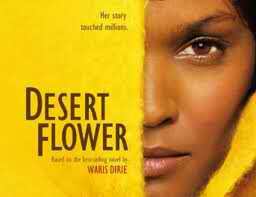 Synopsis: Waris Dirie, a Somalian supermodel, shares her personal journey from being a nomad in the Sahara desert to finding superstardom. My Recommendation: C. I greatly appreciated the rags-to-riches story she presented, but was greatly disappointed in her lack of humility and sense of entitlement that she expressed throughout. She was brutally honest about everything from her torturous personal account of her own female genital mutilation rite of passage to her flight from an arranged marriage with a 60+-year-old man, to her time spent playing maid/housekeeper in London for Somalia’s ambassador to her time struggling to obtain a legal passport that enabled her to become an international supermodel. On the other hand, she seemed quite unappreciative of all the liberties she enjoyed as a result of others bending over backwards for her…she describes how harshly she spoke/treated to others around her and lacked a certain level of humility that I would expect people, of all cultures to have when interacting with others. Final Thoughts: I still can’t get over how Dirie confronted Iman about why Iman didn’t use Dirie, a fellow Somalian, to model for Iman’s cosmetic line. Dirie did it with such a level of aggression, hostility and entitlement that it turned me ALL the way off. For a second I contemplated not finishing the book. I was so over her and her diva tactics. If you can see past that, I guess it was a good read. Ultimately, it left a sour taste in my mouth. The Love Toy by Keith Basso. It’s another recommendation by Adelina and I’m halfway finished with the small book. So far, I’m over it. It’s too simple, basic and trashy for my own personal taste but I have a hard time quitting things before they’re finished so yeah…I’m stuck. Methland by Nick Reding. It was recommended by Shelby from a Barnes & Noble employee…she never read it but said it sounded good. I’m reading it and am over it. The author is repetitive and uses unnecessarily big words. I’m bored but because I’ve started…yeah. The Hunger Games by Suzanne Collins. Who HASN’T recommended this book? I opened it up for the first time last night and have been IMMEDIATELY sucked in! My mom called me last night to tell me she was in line purchasing it for Jon Jon (my baby brother) as she and I were talking lol. So now I’m gonna go ahead and knock it out real quick…Jon Jon (and Jordan, my baby sister) and I will be reading it together…aww! The Kite Runner by Khaled Hosseini. And yet, another Shelby recommendation. She didn’t say much other than it GREATLY affected her emotionally…more than any other book she’s ever read. I’m kind of nervous to start it. Waiting for Superman:How We Can Save America’s Failing Public Schools edited by Karl Weber. This one comes recommended by Mr. Right Now, who’s a teacher by occupation. He’s not a major reader (mainly because he doesn’t have the time) but it resonated deeply with him. I figure if it didn’t bore him I should be good.